We want to know what you thought of the fifth episode of 24: Legacy. This one was written by Robert Cochran (co-creator of the original series) and Leigh Dana Jackson. It was directed by Nelson McCormick. So what did you think of the new cast and show? Vote in our poll and leave your thoughts on the episode in the comments below. 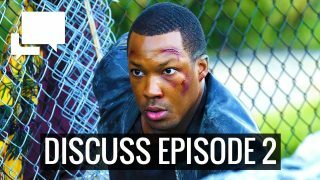 Thoughts on 24: Legacy Episode 5? What did you think of the 24: Legacy Episode 2? 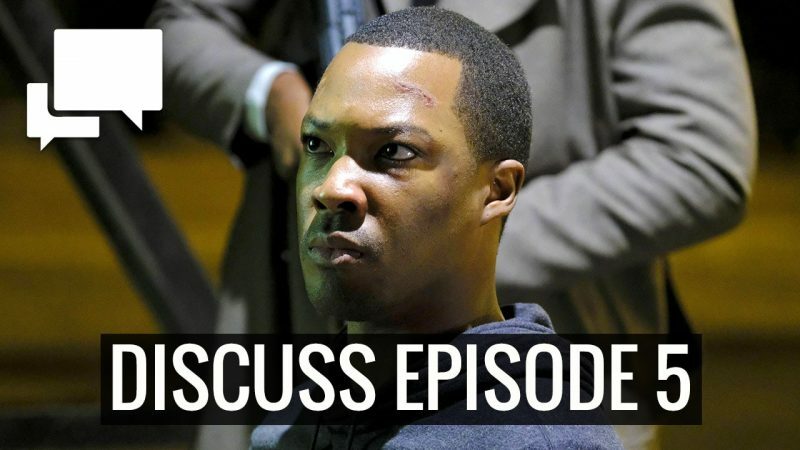 What did you think of 24: Legacy Episode 2 and Eric’s heist on the police station? Watch several clips from 24: Legacy’s fifth episode airing tonight on FOX. I think that was a great episode, though the thing with Amira having second thoughts is a little bit too much like Behrooz back in Season 4. She was better as a cold blooded terrorist in the first episodes of this season. Also the plot with Gabriel is too much like the plot with the arms dealer in Live Another Day and also involved that arms dealer dying as the assault team comes. To these two aspects of the plot aren’t particularly original but I still liked the action and suspense here. I had expected Ben to die though (btw that also was a lot like when Jack was told by Salazar to kill Chase Edmunds in Season 3). When Eric’s wife was convinced to stay with Isaac I was like no, just walk of there! Kind of like how when Jack always gets dragged back into things instead of walk away. I wonder how that will link into the main plot. Still waiting to see some enhanced interrogations here! I still don’t like Nila’s character, she was just very bitchy to me. Holy Sh-t, now that was 24!!! This season finally grew some balls! IMO, the scene when Eric and Ben met Gabriel ranks up there with the best of any of the 24 field operations. When Gabriel “tested” Eric to see if he means business, I thought of the Season 3 scene when Jack was told to shoot Chase or the scene from season 4 when Marwan “tested” Dina in the same way. But this time the result was a complete surprise. Well done writers! Yes I had expected the gun to be loaded and Carter actually killing Grimes, with Grimes having the dignity to accept his death and know it was for the greater good. But this was a nice twist too where by not killing Grimes, Carter passed the test. I was really expecting Gabriel to be Tony Almeida, now I’m still wondering how Tony’s going to come into this story. The whole thing was a lot like Live Another Day though. Did you also notice how Carter flinched when Gabriel took his own life? 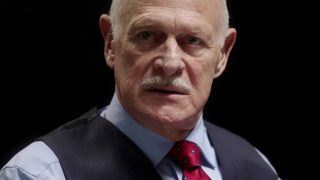 Jack, being a seasoned and hardened CTU agent, would not have flinched – one of the differences between Eric and Carter. ..sorry I mean Eric and Jack. Also, Jack would have screamed “No, No, No..” because Gabriel had important Intel that is now lost. Eric just watched in shock as Gabriel took his own life. Thought this was a noticeable improvement over the first few episodes. This was the first time I found Amira’s storyline tolerable – the brother/father aspect was a lot more interesting than the lame ex-boyfriend that refused to stay dead storyline. The Isaac and Nicole stuff was slightly better too, although that plot still feels too isolated from everything else. It was kind of sad that Gabriel immediately had more screen presence and felt more intimidating than the main villain of the season. It took almost half the season, but at least Jadalla finally had a cool moment near the end of this episode. Things got a lot more interesting by the end of this episode. I think the second half will be pretty fun. Henry referred to his dead wife yet again. Does the site admin know if Veronica Donovan was replaced? Am I the only one mourning Ben? Excellent actor. I know Ben acted stupid but I liked him somehow.. Something about his troubled friendship with Eric appealed to me. I have portions of the script from episode 7 (dated mid October) that Margaret Donovan is in. I think her plot is just being kept secret right now. But I can’t say for sure. It’s possible they got rid of her storyline and gave it to Henry instead. For what its worth, Veronica Cartwright’s wiki page filmography does not list her being in 24 Legacy. When Gabriel handed Carter the gun to kill Grimes, I had visions of Kill Your Boss at Work Day with Jack. This should be one of the best episodes of 24: Legacy I have ever seen. What an intense and suspenseful hour and Ben Grimes’ demise shocked me as did Gabriel who made the ultimate sacrifice. Best episode, in a season that I’m already enjoying. Waiting for Tony and some better villains to show up (which I fully expect to happen) to make a good season a potentially great one, because Muslim villains are just so friggin boring, and these have to be the most pathetic, dull, boring ones in the shows history. Maybe i’m in the minority (maybe i’m not), but I still just don’t buy into Eric Carter as the new “hero.” Right in the beginning of the episode there was the scene/flashback where Eric told Ben that he better not be lying or “I’m going to kill you myself.” That’s a perfect Jack line, and hearing it and seeing it come from Eric Carter felt forced, inauthentic, and just plain wrong. Do I know what the solution is? No, not really, there still needs to be a lead. And I will continue to watch especially with Tony coming soon, but I think if this season so far has taught us anything it’s that Jack Bauer (Kiefer) meant a lot more to 24 than both he and the producers realized. The problem, imo, is that Carter doesn’t get enough screen time! It seeems to me, that he is barely on screen, and most of the time we are watching more boring subplots. Actually, his brother at this point has more interesting stuff going on. (Not that I find the drug/gang stuff very compelling.). I think Jack’s character became more visible more quickly because of airtime. what an intense 24 episode…this one joins in with the rest of them in the original …keeps getting better, I still think the 12 episode change from the original still doesn’t build up characters but its still as good as it ever was….I love it…. Also, why exactly did Carter steal the Onyx weapon plans? In order to be let through to the back room of the warehouse? After which he just got CTU to raid the place anyway? They should have had “Kate Morgan” sprinkled in somehow throughout the season. New fans are use to her and it might have helped carry some of the season. I just don’t have the same connection with the show now. While the show references former plots it still fails to mention Jack, Kate, others. I’ve been sitting the entire season out deliberately until Tony arrives (in which I will then start watching for HIM) but decided to watch an episode on the FOX website last night….I didn’t even make it more than half the episode before shutting it off. Wow…this “new direction” is BAAAAD. Really, incredibly bad. The acting is worse than a B-movie (seriously, I’ve seen better acting in several B movies), Carter is stale as toast and it’s actually embarrassing listening to him deliver (unconvincingly) the type of lines that Jack would deliver. What an awful–AWFUL idea this was! It’s every bit as bad as its very CONCEPT sounded when they first revealed news about this turkey. I’ll watch full time once Tony returns but I already know that I’m going to have a tough time getting through this even WITH Tony because the acting/dialogue is beyond terrible. It actually looks like some sort of cheap economy imitation of 24. No suspense. No interesting characters. Nothing. 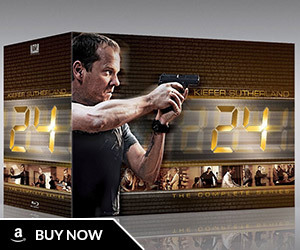 Seriously, they need to craft a final season that closes Jack Bauer’s character and ends 24 for good because this is terrible. Totally agree here. Watch an older episode- literally any older episode – and it’s night and day. Disappointed so far. They are going to have to fold in some past characters quickly!! Exactly. Even the last few seasons of this show were feeling like tired retreads…to then wipe out any sense of familiarity at all (Jack and other old characters) in favor of a completely new cast is NOT going to help matters. These creators truly underestimated their fanbase when they pulled this crap and thought it was going to work. The fact that Tony isn’t being dragged into this until Episode 7 tells me that they decided somewhere during production that this wasn’t going to work out and made Tony a late addition. And to think–if people didn’t complain about the Legacy news in the first place, they would have left Tony out altogether! It took fans speaking up and complaining to get them to complete the story arc of Tony. WHY should fans have to wring the arms of these creators just to get them to RESPECT their fans and respect their material? I have officially given up on ’24 Legacy’. Seasons 1 – 5 of ’24’ as a whole was TV at its finest. Season 6 was a mess. Seasons 7 and 8 were sub-par and then ’24’ came back strong for season 9 after it’s hiatus. I think it is debatable whether ’24 Legacy’ is even worse than season 6. I was willing to give the show a chance with its new cast and I like some the actors but the writing is so much worse than earlier seasons of ’24’. The show has become silly. Instead of watching ’24 Legacy’ any longer, I have decided to re-watch season 4 of ’24’ with my 14 year old daughter. She is loving it. And I much rather re-watch a great season of ’24’ than continue watching ’24 Legacy’. 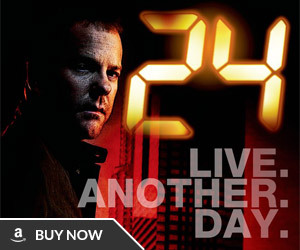 I will always consider ’24’ as one of my all-time favorite shows, but there are too many other great TV shows nowadays that I’d rather be watching. with glass eyes. They must be related somehow. The villain that slit his throat at the end of the episode must be related to what is transpiring at the ghetto house. “The Glass Eye Gang”. What! no silent clock for Ben Grimes? LOL! I disliked him as a traitor and actually wished he had just been killed at the train station. Hope to see some Jack Bauer style interrogations. Though to be honest I think the last successful torture was probably Season 6. I think the show gave in to liberal pressure and stopped featuring that and in Season 8 Jack wasn’t able to successfully torture Pavel Tokarev for info. 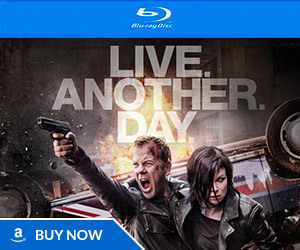 I don’t recall Jack torturing anyone in Live Another Day either though I guess he kept Simone in pain for a bit. I still love the parts in Season 4 where he breaks Joe Prado’s fingers one by one (a very badass scene) and also when he shoots Sherek in the leg and discovers Heller is being targeted. I hope in real life President Trump does go after the families of terrorists if it must come to that. 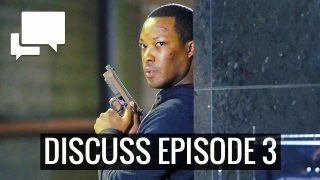 24 Spoilers » 24: Legacy » What did you think of the 24: Legacy Episode 5?